The Bowland Land Managers Forum was established in 2012 to develop and maintain strong links between the AONB Partnership and the land management sector including farmers, landowners and agents working in the area. 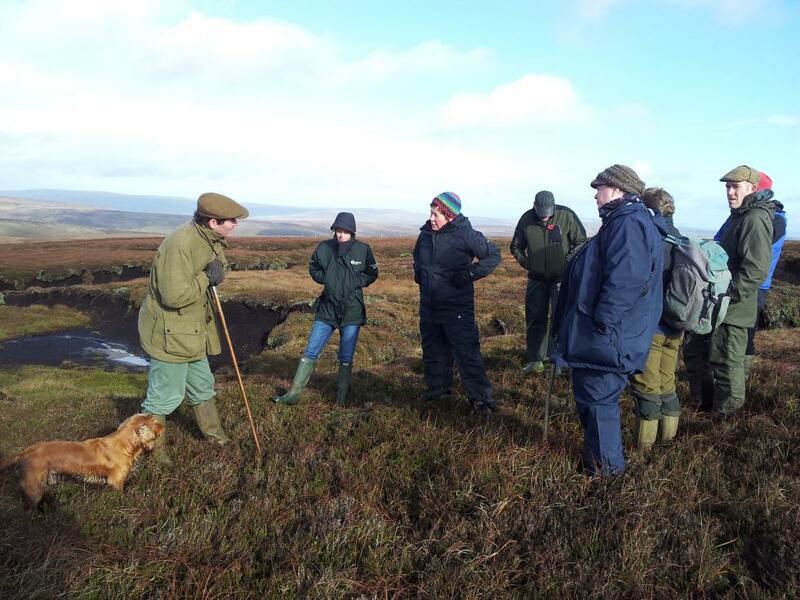 Initially, the Forum established a set of shared land management principles agreed between forum members and Forest of Bowland AONB partners to help guide decision-making and policy-making for land management of the area. Since its establishment, the Forum has been involved in the development and delivery of projects to help restore Bowland's distinctive and internationally important blanket bog habitat. More details can be found on our Peat Restoration page. More recently, Forum members have also assisted and supported the development of the Pennine Peat LIFE project, a £multi-million bid to the European Commission for EU LIFE+ funding. If the bid is successful, the project is planned to commence in Autumn 2016 and will support over £1million of peatland restoration work in Bowland. Black grouse used to be a common sight across the fells and dales of Northern England, including in Bowland until the late '80s/early '90s. In recent years, black grouse numbers have been slowly recovering, particularly in the Southern Yorkshire Dales, with active leks now re-established within 12km of the AONB. The idea of restoring the bird to the Bowland Fells has captured the imagination of Forum members and with the help of research carried out by the Game and Wildlife Conservation Trust (funded by Forum members), efforts are now underway to further investigate the potential to carry out translocation of birds to Bowland over the next few years. 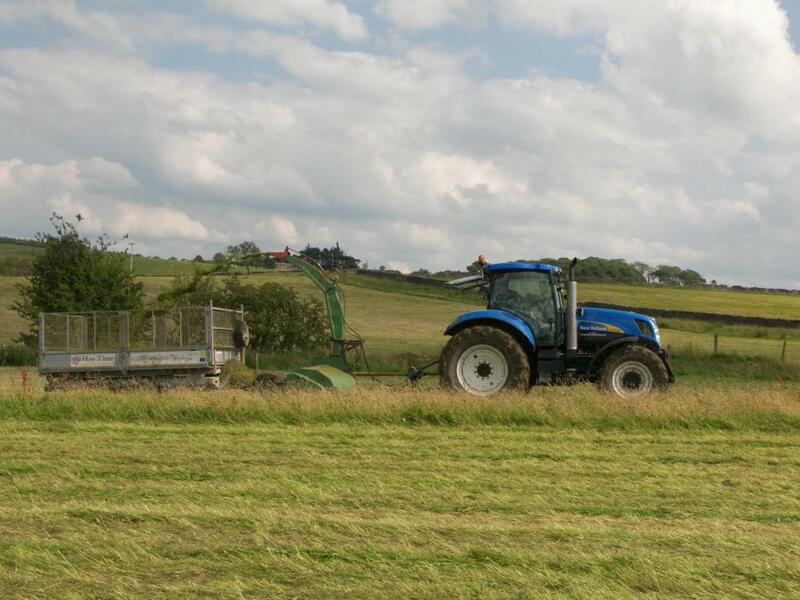 High Nature Value farming describes low intensity farming systems that are particularly valuable for wildlife, the environment and people. 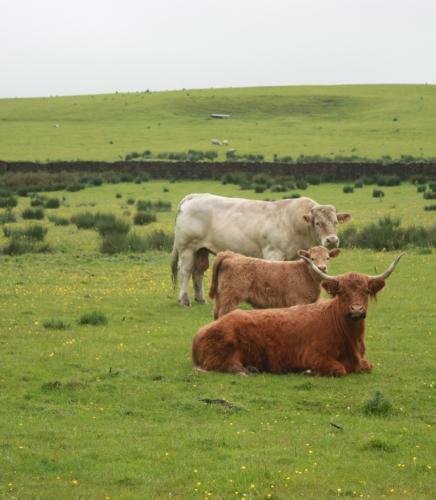 Many of Bowland's farms could be described as farms with high nature value. Creation of a 'Northern Upland Chain Farmer Forum to better represent the interests of farming in the Northern Uplands of England, raising the profile of upland farming at a national and sub-national level with the potential to better influence future CAP reform and the design of the Countryside Stewardship Scheme. Development of a pilot 'Results-based Agri-environment Payment Scheme' (RBAPS) within the Northern Upland Chain area to pioneer a scheme which rewards farmers with payment for biodiversity-related results, rather than for carrying out certain activities on their land. This can give farmers the flexibility to use their own knowledge and experience to manage land in a way that benefits biodiversity, rather than being tied to top-down prescriptions. The initial pilot is proposed for Upper Wensleydale, but if successful could be extended to other areas within the Northern Upland Chain. In August and October 2015, some Forum members were able to visit two RBAPS pilots in the Burren and Shannon Callows in County Clare, Ireland to learn how these successful schemes are being developed and delivered.